Every few years, someone so good comes along at a position that makes you want to draft him #1, but you just can't justify it after just one (partial) season. So you draft the consensus #1 guy, only to watch the up-and-comer dominate the league. Your fantasy-geek regrets kick in and you wish you had the guts on draft day to take that chance. When you pace out Trea Turner's stats to a full season, you're looking at 25+ HR, 80 RBI, 110 Runs and 70 stolen bases... and he hit .342 on top of all that. Jose Altuve does all that, except half the stolen bases. This year is your chance to finally get over if it all works out. Jose Altuve is the #1 second baseman in most fantasy rankings, but we just can't deny the proof and potential that Trea Turner showed the league in '16. Who are the Best Fantasy Second Basemen in 2017? To continue the thought above, we can't blame you for passing over Trea Turner in favor of Jose Altuve. 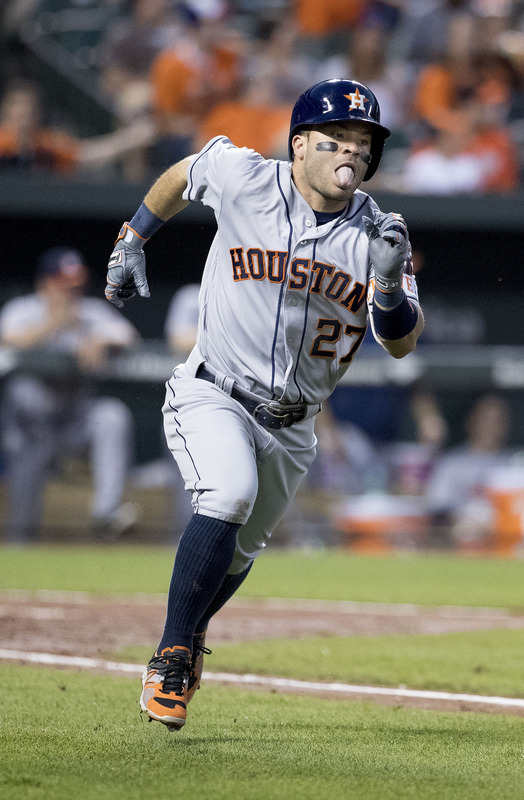 Altuve has proven over the past few years that he's a stud, despite being just 5'6". Then there's Brian Dozier who has also proven to be a stud despite his sub-par batting average. Did we predict 42 HR last season? No, but we did predict he would, once again, prove he simply produces like crazy in terms of fantasy baseball. We also told you that Rougned Odor was the real deal (not an intentional boxing reference... Evander Holyfield? Get it? Real Deal? Look it up, noob). Anyway... we also told you to jump back on the Robinson Cano bandwagon - all the statistical indicators pointed to him having a bounceback season and we were right... and did you notice that Daniel Murphy only struck out 57 times in 142 games in 2016? What the hell, man?! All right - peep our 2017 fantasy second basemen rankings, below, for yourselves. Jean Segura, like we told you last season, was way better than his 2015 stats would have implied. Also, at 26 years old, he entered his breakout year right on cue (seems to happen at 26 or 27 for most major leaguers). Now, don't expect 20 HR again. We'd expect somewhere around 15 HR out of Segura, as well as 90-100 runs and 60+ RBI again. His batting average may have been a bit of a fluke last year at .319, so be happy if he hits .275. Anything more than that is a huge win given his '14 and '15 campaigns... and he'll still be around 30-40 stolen bases, too, which is a huge fantasy boost. We were afraid that Daniel Murphy was just being over-hyped after hitting a home run in 6 straight playoff games. Last season, however, Murphy proved that 1) he was no fluke, and 2) that he worked hard on his hitting to get much better. We expected him to hit .280 last year, but then he hit a ridiculous .347. That part, we think is a bit of a fluke, but when you look at the rest of his stats, those are not flukes... Murphy played in 142 games, yet he only struck out 57 times. Compare that to previous seasons and it looks like a typo, except for the previous season when he struck out 38 times in 130 games. That, my friends, is a pattern. By no coincidence, he also set a career high in HR (24) and doubles (an NL-leading 47). 104 RBI was also a career best, and he's still in the middle of a great lineup in Washington, so there will be many opportunities to drive in 100+ RBI. Expect Daniel Murphy to hit .315 with 25 HR, 100 RBI and 90-100 runs this season. Nothing flashy, nothing that says he’s a stud fantasy second baseman. But every year, he comes through like a steady paycheck. Hits above .270, scores 80+ runs, hits double-digit home runs, drives in 50+ RBI and plays all season. This year, however, things look even better for Zobrist. After winning the World Series with the Cubs and driving in the final, winning run, people have finally recognized that Zobrist is a solid, reliable performer on the field. Also, we’ve seen his walk-to-strikeout ratio flip the past two seasons to where we actually walks more than he strikes out – a lost art in baseball. In fantasy terms, that leads to more opportunities to score runs. Then you put him in the Cubs’ elite lineup and you’re looking at a guy who could break out with 100+ runs, 20 HR and 70+ RBI. Expect a repeat of last year’s stats, but don’t be surprised if he sets career-best numbers in 2017. Ian Kinsler is the ultimate silent assassin in fantasy baseball. He just quietly does everything well, but no one category stands out as an "Oh my God" performance. Last season, Kinsler scored 117 Runs with 28 HR, 83 RBI while hitting .288 with 14 stolen bases. His runs and HR are spectacular, but he goes about his business like he's just one of the guys... silently killing your fantasy opponents every week. Expect 100 runs, 25 HR and more of the same across the est of his fantasy stats. If we could just trust that Pedroia would play a full season without spending significant time on the DL, we would rank him in the top 10. He’s a former MVP, and with good reason: Pedroia produces consistently when he’s on the field, but there’s that old saying of, “Your best ability is availability.” Last year, Pedroia hit .315 with 201 hits, 105 Runs scored, 15 HR and 74 RBI in 154 games played. The previous season, he only played in 93 games, and only 135 the year before. Honestly, we think he’s a pretty safe draft pick this season as 2016 was more of a testing ground for his health than anything. He excelled all season… but he’s also a year older, so there’s that. All in all, he’s a solid draft pick in 2017. Even if he misses a few weeks with an injury, if you have a good backup to hold you over, you’ll be fine. Devon Travis at #10? Really? Damn right. Devon Travis showed up out of nowhere two seasons ago due to an injury-plagued Blue Jays roster, then he ended up being the one to go on the DL last season having only played in 102 games. During those games, Travis was pacing for an 85 Run, 15 HR and 75 RBI season to go along with his .299 batting average. Assuming he stays healthy in 2017, we expect Travis to have a breakout season - a little revenge he wants to dish out for the injury bug last year. Expect 90+ runs, 15-20 (or even more) home runs, 80 RBI and around a .300 batting average. He's entering his prime at age 26 this season, and he's in a great hitter's park and a great lineup, too. All we can say to Jonathan Schoop is, “Dude, take a pitch.” We would see Schoop’s fantasy stats increase significantly across the board if he didn’t swing at every pitch. Schoop only walked 43 times in the last three years combined… in 386 games. Schoop and Rougned Odor are the only two second basemen to hold the “honors” of having more home runs than walks, which is absolutely ridiculous. Having more HR than walks tells us two things: you have crazy power and you only hit mistake pitches. Schoop’s .265 average, 25 HR, 82 Runs, 82 RBI, 21 walks and 138 strikeouts in 163 games played is quite a mixed bag for fantasy owners, but all in all, in terms of fantasy baseball, he could be a great pick in the middle rounds in terms of the big three categories. Plus, if he does suddenly improve his patience at the plate (which we don’t foresee given the lineup around him), his stats can only get better. That’s extremely significant given how good they already are. Okay, fine. Now that we mentioned him, we have to talk about him. Yes, he has a funny name. Yes, he wobbled Jose Bautista with a punch to the face. Yes, he hit 33 HR. And, yes, we told you last season he was the real deal. Now you know Rougned Odor has real potential. In fact, forget potential – he’s already there. 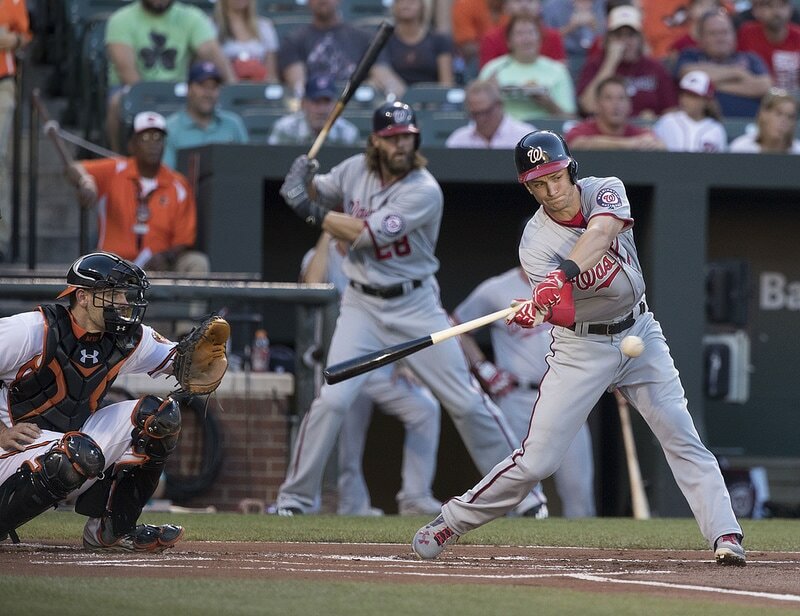 While we can’t say for sure that Trea Turner will hit more than 15 HR, we can say for sure that Odor will hit 20+ HR. Notice we’re not saying 30+ HR – that’s because he only walked 19 friggin’ times in 150 games. See, there are power hitters who are feared, therefore they draw more walks because pitchers pitch around them. Then there are guys like Odor (and Schoop to bring this full-circle) who pitchers aren’t afraid of at all, so long as they don’t make a mistake. Pitchers continue to pitch to Odor knowing that they can strike him out or roll him over so long as they don’t make a mistake. Good pitchers get him out; bad pitchers make mistakes to him. Expect 25 HR, but also expect 15-20 stolen bases, too. His batting average will stay around .250-.275, and you may see his runs and RBI go up a bit if his on-base percentage increases with maturity.